During her tenure as president, Hilarie Bass has focused a lot of the American Bar Association’s energies on aiding homeless youth, not just in the U.S., but around the world. 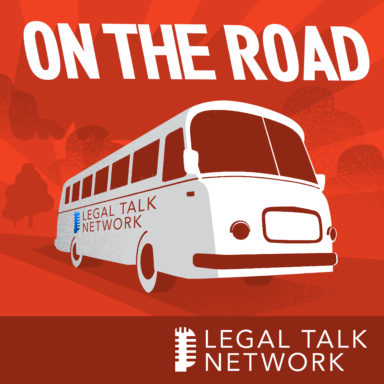 In this report from On The Road at the 2018 ABA Midyear Meeting, host Jim Calloway talks to Casey Trupin, Michael Santos, Angela Vigil, Melanie Redman, Darla Bardine, and Stephen Gaetz about the ABA homeless youth initiatives President Bass has inspired and how lawyers can get involved. Together, they also discuss the biggest legal needs of these homeless children, from finding shelter to getting a license without a birth certificate, and how volunteer lawyers can meet these needs. Casey Trupin is a program officer for the Raikes Foundation’s youth homelessness strategy. Michael Santos is an attorney at the National Law Center on Homelessness and Poverty whose work focuses on advocating for homeless youth access to education through public education, impact litigation, and policy advocacy. Angela Vigil is a partner and executive director of the Pro Bono Practice at Baker McKenzie. Melanie Redman is the co-founder and president & CEO of A Way Home Canada. Darla Bardine is a public interest attorney serving as executive director of the National Network for Youth (NN4Y). Stephen Gaetz is a professor in the Faculty of Education at York University and is the director of the Canadian Observatory on Homelessness and the Homeless Hub.